Ulrich has a restless night, haunted by a nightmare of the Ninjas and dreaming about Yumi. He’s suddenly woken by Jim who reminds him about his interschool karate competition that same day. The group meets. 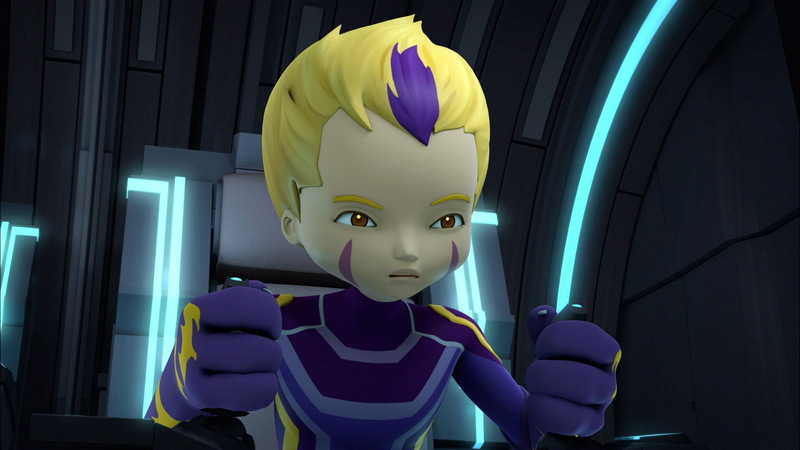 Aelita and Jeremy want to return to the Cortex. They need information on Tyron’s Supercomputer before working out how to destroy it. They’re conscious of the fact that they will probably have to confront the Ninjas again…but it’s difficult to avoid that. Problem: Ulrich announces that he can’t join them because of the competition. He leaves sheepishly before the bitter and reproachful looks of his friends. A one-hour class with Ms Hertz is enough to make him feel guilty. He goes to training with Jim. His coach urges him and his two comrades to be more unpredictable. He then executes a demonstration that knocks Ulrich to the ground. After the training session, Ulrich goes to see Jim and tries to pretend he’s sick in order to get out of the competition. However, Jim, interrupted while watching a wildlife documentary, will hear nothing of it: he expects Ulrich to man up that afternoon because without him, the competition is already lost. 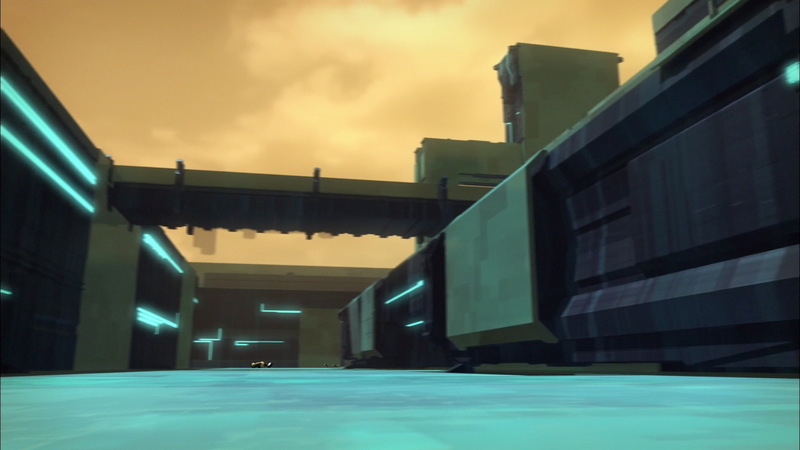 The other four Lyoko Warriors virtualise and travel through the Digital Sea towards the Cortex using the Skidbladnir. 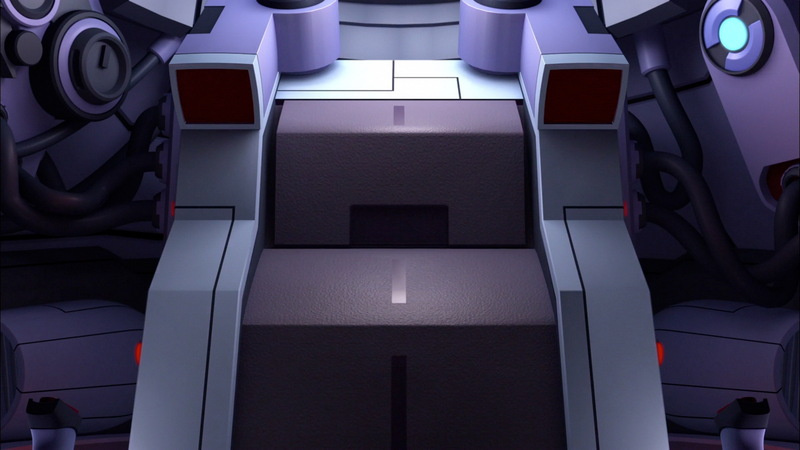 Then aboard the Megapod, they drive through the Cortex. Tarantulas are sent on their heels, jumping onto the vehicle. Another stroke of bad luck hits when the terrain changes, isolating the Megapod on a high platform at the mercy of the monsters. The competition begins. Ulrich shines. Following Jim’s advice, he relies on the element of surprise and wins for Kadic. However, when he was presented the trophy, the young karateka isn’t in the gym, but running towards the factory. Odd shows great prowess in the Megapod, bowling over Tarantulas in his way and then jumping off the platform, landing at the entrance to the Dome, narrowly avoiding a fall into the Digital Sea. The heroes enter the heart of the Cortex. They reach the terminal without trouble and insert a card to deactivate the firewall. They find that it fails when a Ninja arises in front of Odd, quickly followed by two others. 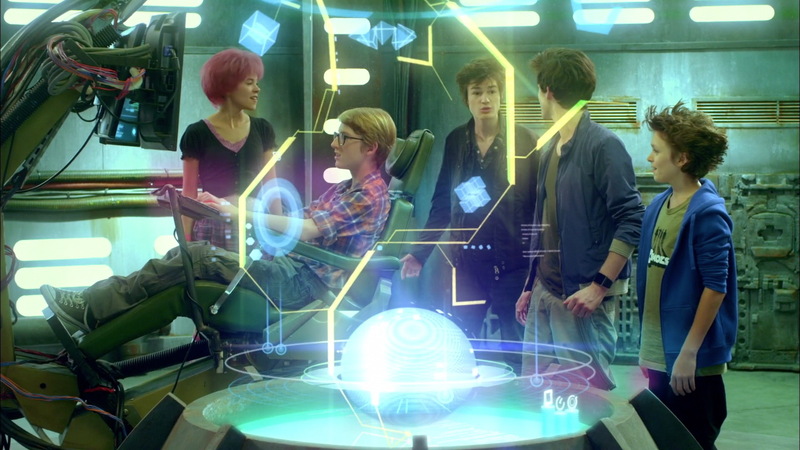 Before the group can react, one of them charges and devirtualises Aelita. A three-on-three fight ensues. 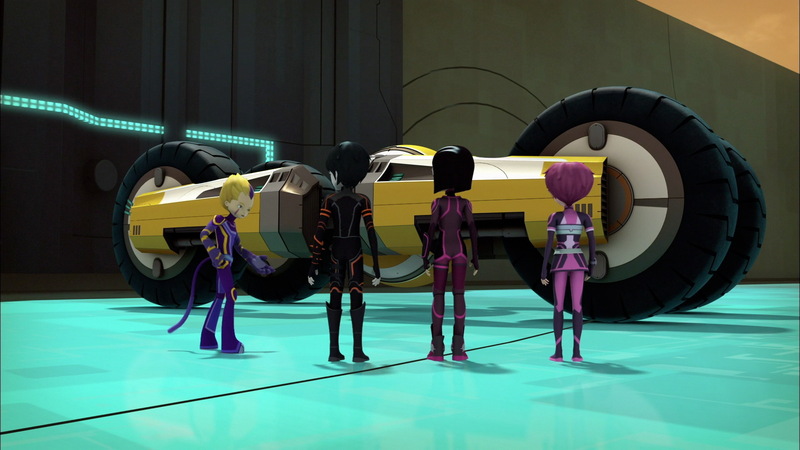 The Lyoko Warriors soon find themselves in trouble. The Ninjas seem invincible: their skills are far greater than any of the heroes’. Strong enough to deflect fans, quick enough to block laser arrows, and skilled enough to outclass William in close quarters combat. Odd is quickly devirtualised. Ulrich arrives at the factory. Without the Megapod, he can’t get to the Dome. He’s stuck at the factory, a mere spectator in his friends’ debacle. Giving advice from the terminal, he realises that the Ninjas fight like humans. He then repeats Jim’s advice: be unpredictable. Yumi and William then adapt their combat styles. They destroy the first Ninja when William goes Supersmoke to allow Yumi’s two fans to go right through him, hitting the creature instead. 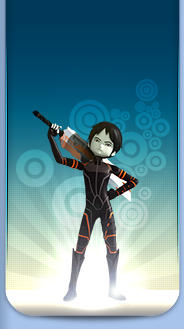 The Lyoko Warrior is however defeated just after. Jeremy sends Yumi a new weapon to stand up to the remaining two Ninjas: a bo staff. Newly armed, the Japanese girl wreaks havoc on the two Ninjas. The heroes savour their victory and make a discovery: Jeremy managed to recover another video clip. In it we see Tyron addressing people dressed in strange cybernetic outfits resembling the Ninjas. The scientist is therefore the one who must be sending the Ninjas… they themselves are probably humans projected indirectly into the Cortex thanks to these outfits. The heroes have found an adversary equally as dangerous as XANA. Upon returning to Kadic, Ulrich surprises Jim once again while he’s watching a wildlife documentary. 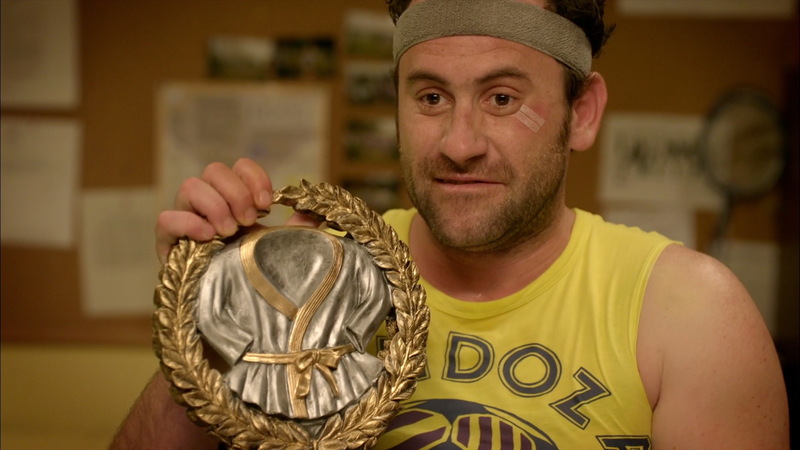 He thanks him for all his advice and offers him the karate competition trophy. - First appearance of Tyron, over a webcam in realtime (not in one of the old videos when he worked for Hopper). - The Ninjas seem to be human beings sent by Tyron from Earth through strange bodysuits. - Yumi now has a staff-like weapon. - In this episode, Ulrihc participates in a karate competition, first “Miss Einstein” of the fact that in Evolution, Ulrich's now a karateka, not a practitioner of pencak silat. - Second episode without an appearance of Laura since her forced integration into the group. - First episode in the entire series in which William is seen inside a Navskid. - Jim talks about his trip in Burma again, already mentioned in many episodes of Code Lyoko. He fought people there. He also claims to have been to Botswana. Also, he watches animal documentaries and eats popcorn. - In Evolution, Tarantulas seem to be able to climb vertical surfaces. - Aelita says she'd seen Ninjas and participated in the first fight against them. 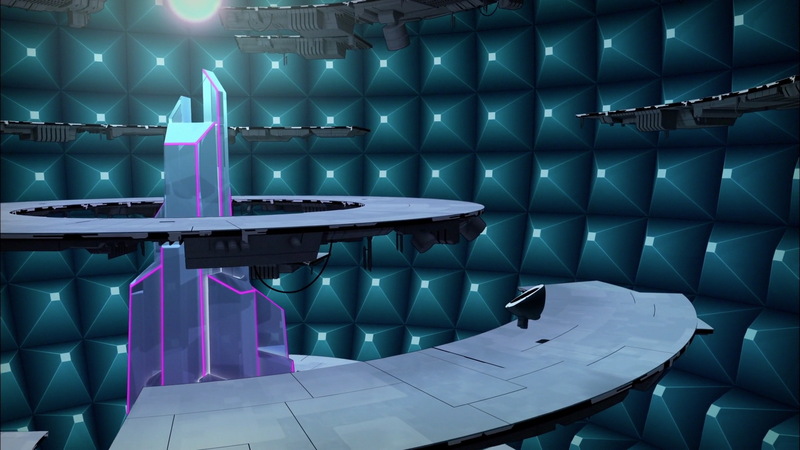 However, in episode 8 “Virus” when they appeared, Aelita was devirtualised before the Ninjas revealed themselves. - First time the heroes succeed in devirtualising the Ninjas. - The sequence in the Cortex that Ulrich sees in his dream at the start of the episode is composed of images from episode 8 “Virus” (except for the final shots). 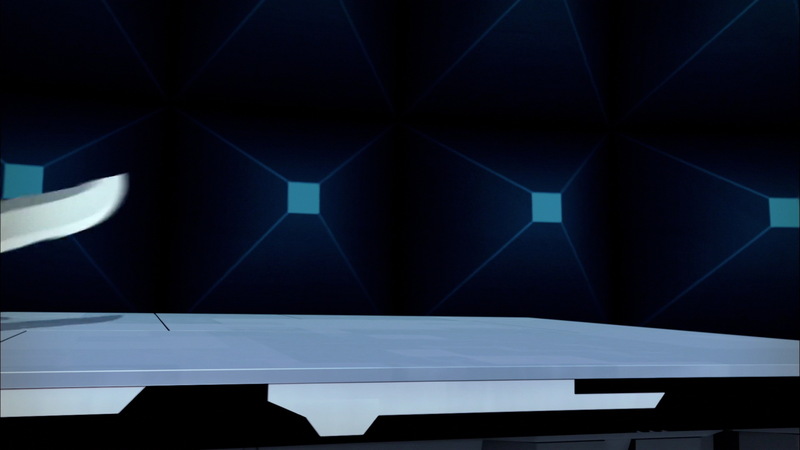 - First episode of Evolution starting with a 3D scene in the virtual world. Sébastien Loeb is a French rally driver. Jim: me, for example, well, I don't really want to talk about it, when I was in Burma against 15 guys dripping with ferocity, if I was predictable…well I would've ended up as cat food! Jim: Ok, it's the moment of truth, boys, so your state of minds are in the locker room with your socks. From now on, there's only one thing you can count on: the smell of tatami and the eyes of your adversaries. Jim: In your world it's two things, in mind it's just one! William: Hehe! I admit Yumi's sarcasm isn't bad. That's what I like about her as well. Odd: This is your captain speaking… In case of sickness, vomit bags are available…lol. Odd: No but they're cool, these…these…what are they, anyway? William: Yumi is really on edge!! !